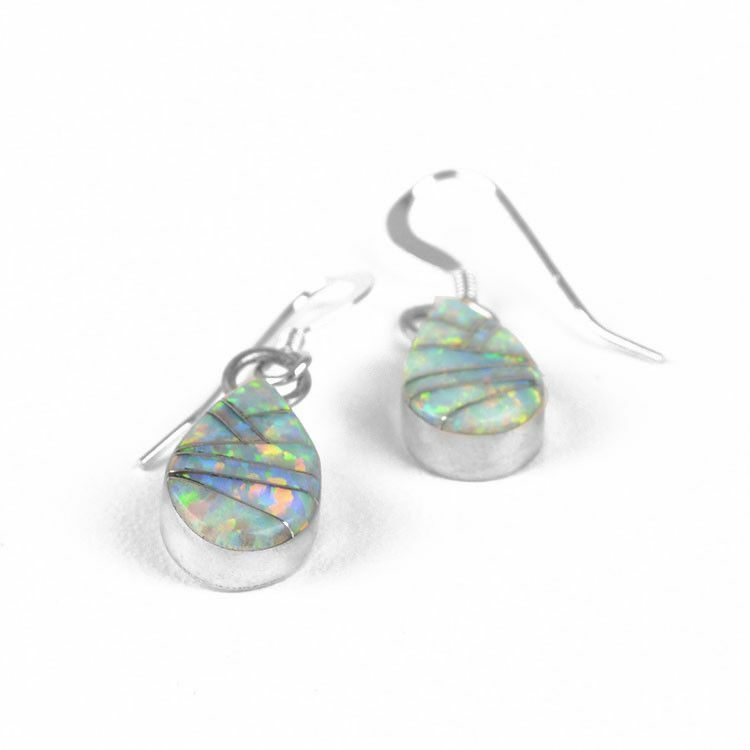 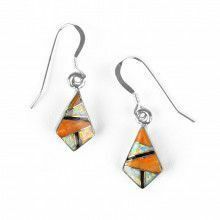 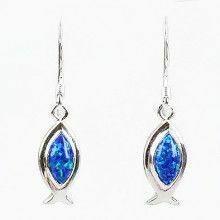 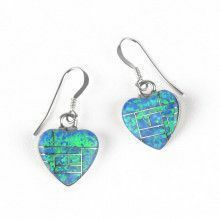 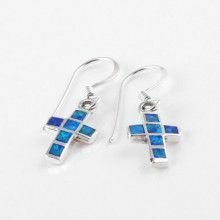 These small earrings (about 1 1/8" total length) feature colorful lab opal inlaid in a unique angular design, into sterling .925 silver. 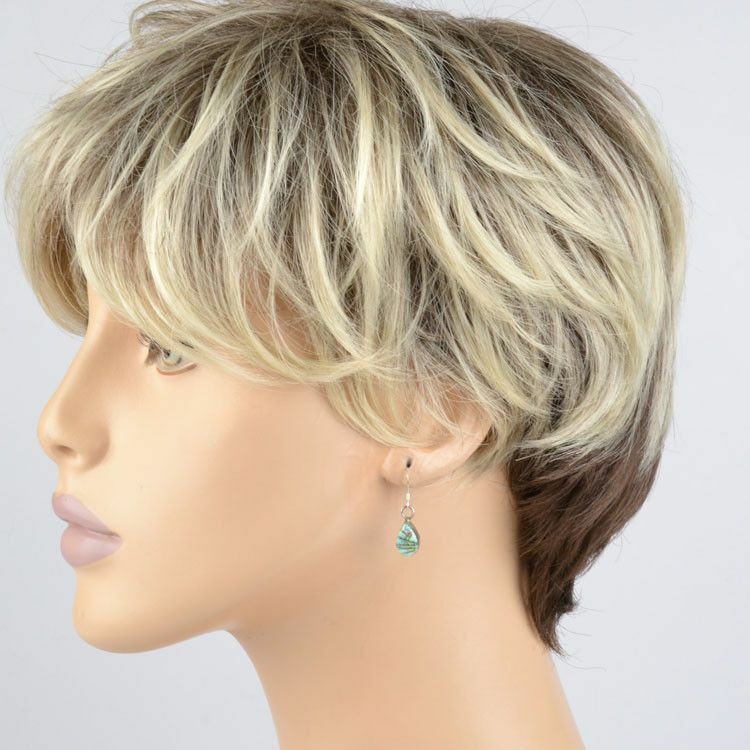 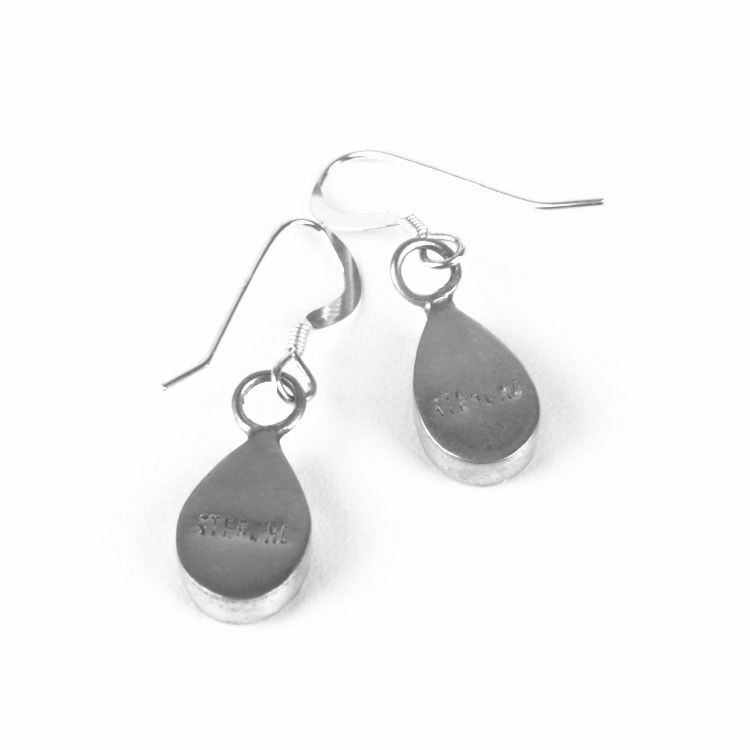 The teardrop-shaped earrings have simple hooks. 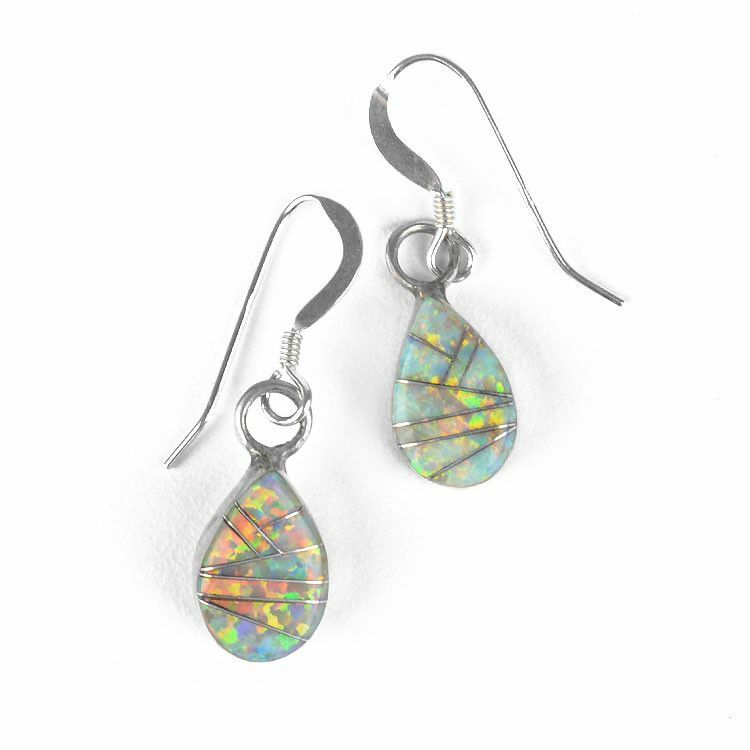 Drop is almost 1/2" long.